Project Porg lets you have your own pet porg. 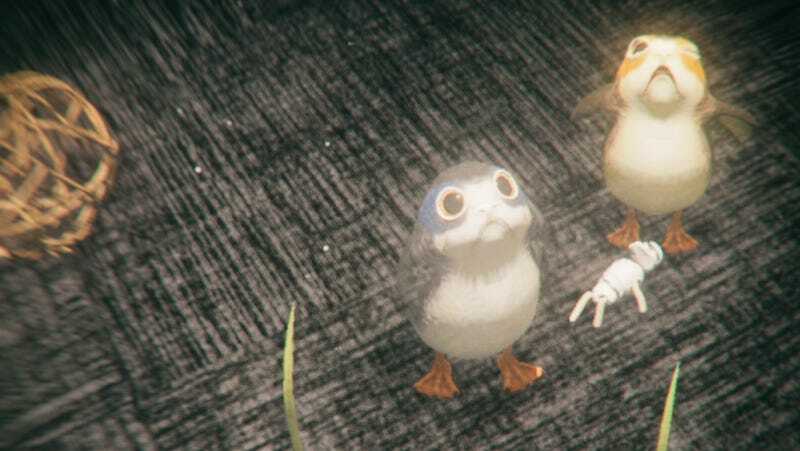 Even before The Last Jedi came out, porgs were everywhere. Porg dolls, porg sneakers, porg backpacks...the world was porg obsessed, and that’s only continued since the release of the film. However, for obvious reasons, the one thing no one could really have was an actual porg. 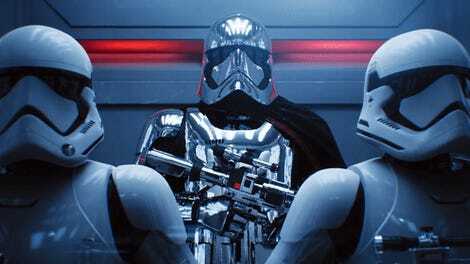 So Lucasfilm’s ILMxLab aimed to change that. Now, a few months after its first announcement, the company behind Trials on Tatooine, Star Wars: Secrets of the Empire, and Ralph Breaks VR have finally released Project Porg exclusively for Magic Leap One. The mixed reality experience allows fans to take care of their own pet porg and, eventually, even bring it out into the world. It’s kind of like the Tamogatchi got a super duper upgrade, and is now a porg. Check out this new video detailing the experience. Have you watched the video? If not, watch it cause I’m going to spoil something in it below here. Yes, Project Porg allows you to make porg babies. And as adorable as baby porgs are, in my slightly twisted mind, this raises many questions. How does that process go down in the game? Do you have to navigate porg relationships? How do the porgs give birth? Is there an in-universe explanation for porg procreation and how does that translate to Project Porg? Plus, how far can you take this in ? Could I make like a porg Brady Bunch in this experience? It’s all very fascinating. Unfortunately, I don’t have Magic Leap One, otherwise I would happily explore the answers to these questions. If you do though, you can either experiment with porg families, or be a normal person and just love a beautiful virtual porg. Find out more at ilmxlab.com/projectporg.